Thicker, higher quality fabric than other brands that is shaped to fit the human body. No loose-fitting sacks! 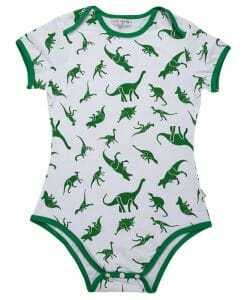 Vibrantly colored prints similar to those found on real baby onesies have been enlarged to provide the same level of cuteness to adults. 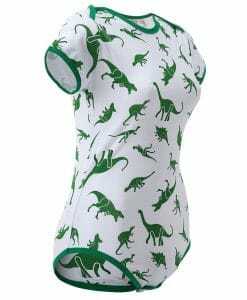 100% Organic Cotton is soft on skin and stretches to fit many body types. Thickness of fabric is suited for supporting the weight and bulk of a diaper, including cloth diapers. 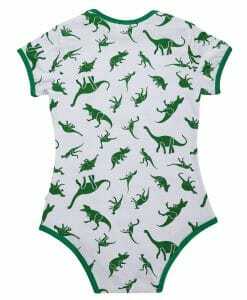 Onesie has a row of 3 crotch snaps for easy dressing and a secure fit. 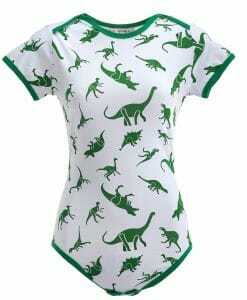 LittleForBig feature adorable prints and bright colors just like real baby onesies! 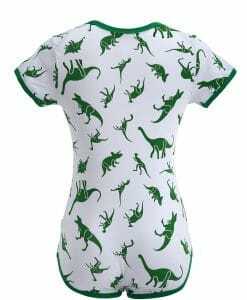 Our prints and patterns are all upsized for adults so that you can look as little as you feel.LittleForBig adult baby onesies are made of 100% soft organic cotton that stretches to fit many body types. 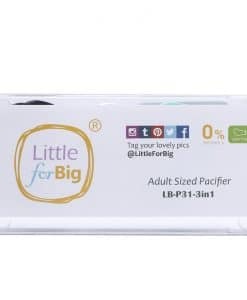 Unlike other brands, LittleForBig products are made to hug the body for a snug and secure fit. 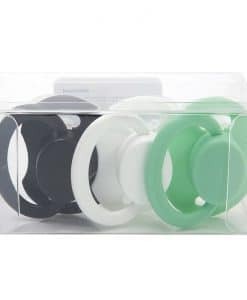 A row of 3 press snaps secure the onesie at the crotch, providing plenty of support whether you wear a diaper under your LittleForBig onesie or not. Sizes are close to standard T shirt sizes.Available sizes Extra Small (S) through 4X large (XXXXL). PLEASE TAKE THE TIME TO MEASURE FOR YOUR SIZE. The most critical measurement is the “Length” which is best measured with a cloth measuring tape while wearing a t-shirt and diapers. 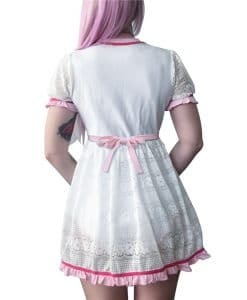 Start at the collar in back running down the back and through the legs over the diaper, up to the collar in front. Divide this measurement by two and compare to the listed length. All items are shipped in discreet packaging. 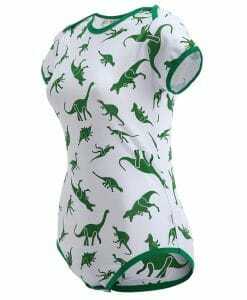 This onesie is adorable and seems like it was made very well. The fit is a little smaller, but the fabric is very stretchy and forgiving. 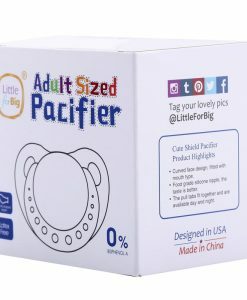 It is definitely made to fit a female. That is something you don’t really find from other companies. The print is great! I absolutely love the dinos.